Last month, AETN was proud to host the Arkansas STEM Girls' one-day "Explore & Discover Workshop" for 74 middle school girls and 50 adult mentors from Henderson Middle School. We're deeply grateful to our instructor partners from the University of Arkansas Division of Agriculture Cooperative Extension Service who joined AETN specialists for interactive and exciting learning activities, including "in real life" coding activities, building models according to Americans With Disabilities building code and, for mentors, equipping students - particularly girls - with conflict resolution skills. To learn more about the Arkansas STEM Girls initiative or get involved, contact AETN Community Education Coordinator Karen Walker at kwalker@aetn.org. This January, join Arkansas chef Steven Brooks of Bella Vista for a new weekly program with an emphasis on local farmers, restaurants, chefs and, of course, delicious food! 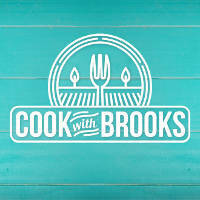 Beginning Saturday, Jan. 7, at 5 p.m., Brooks will host a series dedicated to telling the whole story of food in The Natural State: where it's from, how to cook it and who shares it. Featured topics include: High South Cuisine, highlighting local ingredients, dairy farming and creameries, community gardening, the local farm-totable movement, breweries, fruit farming and much more. Learn more and find recipes at aetn.org/cookwithbrooks. 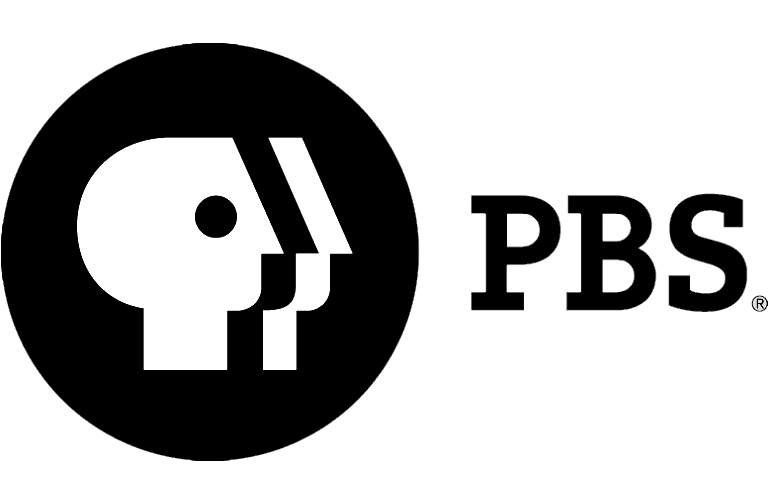 This holiday season, give the gift of live music (and support quality public television!) 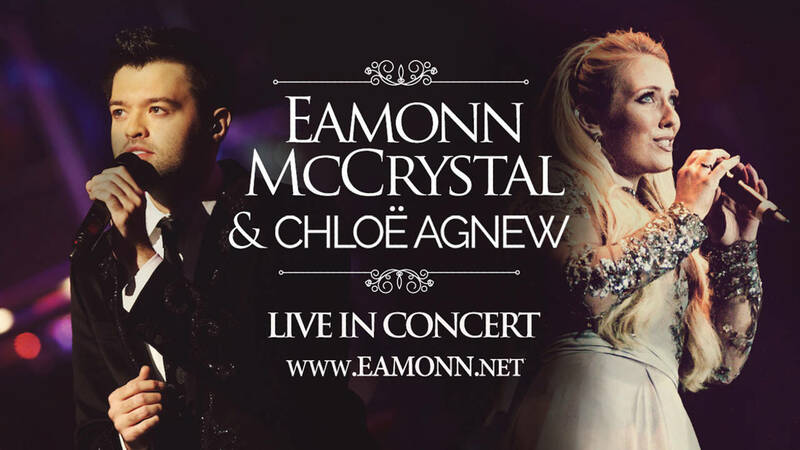 when you get tickets to outstanding concerts by Eamonn McCrystal & Chloe Agnew, Jesse Cook and Celtic Woman. 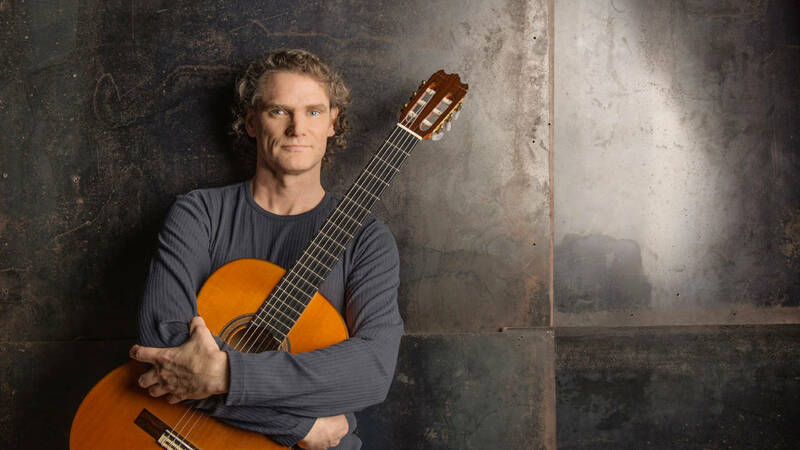 Learn more about each concert at aetnfoundation.org. 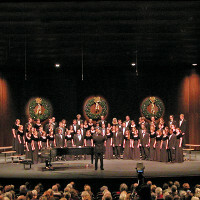 Thursday, Dec. 8, at 7:30 p.m. at the Walton Arts Center in Fayetteville. Tickets are available for a donation of $50 (floor) or $40 (balcony). Sunday, May 7, 2017 at the Reynolds Performance Hall in Conway. Tickets are available for a donation of $125 (meet-and-greet and floor seat), $50 (general admission, floor seat) or $30 (general admission, balcony seat). Wednesday, May 17, 2017 at the Robinson Center Music Hall in Little Rock. Tickets are available for a donation of $125 (general admission and floor seat) or $250 (meet-and-great and floor seat). Special event tickets are a thank you gift for your contribution and a portion of your donation is tax deductible. Pleasebe aware there are no refunds issued for donations received in exchange for special event ticket offers. For questionsregarding this policy please contact Member Services at 1(800) 662-2386 or email boxoffice@aetn.org. 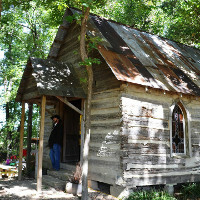 This month on "Exploring Arkansas" join host Chuck Dovish as he checks out the successful reintroduction of alligators to The Natural State in a swampy lake near Texarkana; experiences the lifestyle of a 19th century town at Parker Pioneer Homestead in Whitehall; investigates one of the state's largest Native American bluff shelters on a golf course in Fairfield Bay; and samples the five-star fare of Low Gap Café near Jasper. Wednesday, Dec. 7, at 6:30 p.m. Learn more at aetn.org/exploringarkansas. Join Phyllis and John for an all breakfast show, just in time for the holidays and family gatherings! Start with two quick and easy meals - Breakfast Burritos and Potato and Egg Tacos - then try Joe's Breakfast Surprise and Mexican Breakfast Eggs, one of our most popular recipes of all time. The perfect complement to all of these breakfast dishes, Camp Howdy Salsa, rounds out the episode. Tuesday, Dec. 13, at 6:30 p.m. Learn more at aetn.org/cookingonthewildside. The holiday season can bring about stress, anxiety and sadness, commonly referred to as the holiday blues. In a special episode of "Healing Minds. Changing Attitudes.," learn how to recognize the signs, manage the effects and determine the difference between "the blues" and clinical depression. Monday, Dec. 19, 10:30 p.m. Learn more at aetn.org/healingminds. "The Cat in the Hat Knows a Lot About Space!" The Cat in the Hat takes Nick and Sally on a cosmic adventure through the solar system to assist with Operation Rover Repair. Find out what they'll discover and what problems they'll solve together Monday, Dec. 26, at 7 a.m. 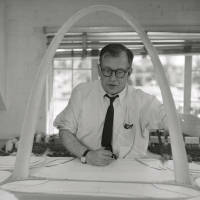 Explore the life of the modernist architect behind visionary buildings like St. Louis' Gateway Arch in this special "American Masters" documentary. The film invites audiences to travel with Saarinen's son as he visits his father's work on a cathartic journey. 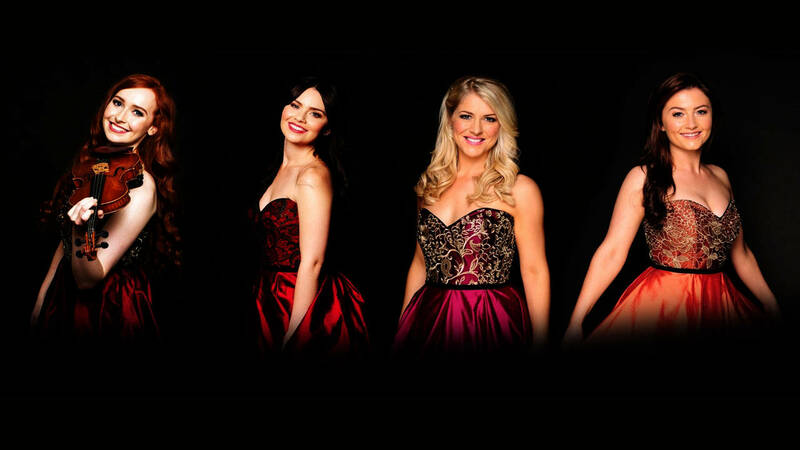 Tuesday, Dec. 27, at 7 p.m.
Dec. 2: "AETN Presents: On the Front Row With Jack Mitchell & His Big Band," 6:30 p.m., and "Andre Rieu: Waltzing Forever," 8 p.m.
Dec. 9: "AETN Presents: On the Front Row With Epiphany," 6:30 p.m.; "First You Dream: The Music of Kander & Ebb," 8 p.m.; and "Hitmakers," 9 p.m.
Dec. 16: "AETN Presents: On the Front Row With The Salty Dogs," 6:30 p.m.; "Joshua Bell's Seasons of Cuba," 8 p.m.; and "Lidia Celebrates America: Holiday for Heroes," 9 p.m.
Dec. 23: "AETN Presents: A Holiday Music Gala," 6:30 p.m., and "Shakespeare Live! From the Royal Shakespeare Company," 8 p.m.
Dec. 30: "AETN Presents: On the Front Row With Dale Hawkins," 6:30 p.m.; "Sherlock - Season 3: His Last Vow," 7:50 p.m.; and "Sherlock: The Abominable Bride," 9:20 p.m.
Dec. 4: "Il Volo: Notte Magica," 6:30 p.m.; "I Miss Downton Abbey," 8 p.m.; and "The Carpenters: Close to You," 9:30 p.m.
Dec. 11: "The Manners of Downton Abbey: A Masterpiece Special," 7 p.m.; "Great Performances - The Hollow Crown: Henry VI, Part 1," 8 p.m.; and "Sherlock - Season 2: The Reichenbach Fall," 10 p.m.
Dec. 18: "More Manners of Downton Abbey: A Masterpiece Special," 7 p.m.; "Great Performances - The Hollow Crown: Henry VI, Part II," 8 p.m.; and "Sherlock - Season 3: The Empty Hearse," 10:30 p.m.
Dec. 25: "Call the Midwife Holiday Special," 6:30 p.m.; "Great Performances - The Hollow Crown: Richard III," 8 p.m.; and "Sherlock - Season 3: The Sign of Three," 10:30 p.m.
"Wild Kratts: A Creature Christmas," Dec. 5 at 6 a.m.; Dec. 6 at 4 p.m.; Dec. 11 at 7 a.m.; Dec. 23 at 6 a.m. and 4 p.m.; and Dec. 25 at 8 a.m.
"Ozark Mountain Christmas: Part 1," Dec. 8 at 6:30 p.m.
"Peg + Cat + Holidays," Dec. 13 at 10:30 a.m.
"European Christmas Markets," Dec. 14 at 10:30 p.m. and Dec. 18 at 2 p.m.
"Ozark Mountain Christmas: Part 2," Dec. 15 at 6:30 p.m.
"Curious George: A Very Monkey Christmas," Dec. 16 at 7:30 a.m., Dec. 18 at 7:30 a.m. and Dec. 25 at 7 a.m.
"Keeping Up Appearances: Christmas Specials 1995," Dec. 17 at 7 p.m.
"Are You Being Served? : Christmas 1981," Dec. 17 at 7:30 p.m.
"Mr. Stink," Dec. 17 at 8 p.m.
"Christmastime in New Orleans," Dec. 18 at 1:30 p.m.
"Travelscope: Christmas in Switzerland," Dec. 18 at 2:30 p.m.
"Christmas With the Mormon Tabernacle Choir Featuring Laura Osnes and Martin Jarvis," Dec. 19 at 8 p.m. and Dec. 25 at 1 p.m.
"Christmas at the Mansion," Dec. 22 at 6:30 p.m.
"Stick Man," Dec. 23 at 5 p.m.
"AETN Presents: A Holiday Music Gala," Dec. 23 at 6:30 p.m., Dec. 25 at 4:30 p.m., and Dec. 29 at 6:30 p.m.
"Keeping Up Appearances: 1993 Christmas Special," Dec. 24 at 7 p.m.
"Miss Marple - They Do It With Mirrors: Christmas 1991," Dec. 24 at 8 p.m.
"Miss Marple - Mirror Cracked From Side to Side: Christmas 1992," Dec. 24 at 10 p.m.
"The Cat in the Hat Knows a Lot About Christmas!," Dec. 25 at 6 a.m.
"Jordan Smith: ‘Tis the Season," Dec. 25 at 10 a.m.
"Happy Holidays With the Boston Pops," Dec. 25 at 11 a.m.
"Christmas on the Trail," Dec. 25 at 2 p.m.
"Ozark Mountain Christmas: Parts 1-3," Dec. 25, starting at 3 p.m.
"Call the Midwife Holiday Special," Dec. 25 at 6:30 p.m.
"Live From Lincoln Center: New York Philharmonic New Year's Eve," Dec. 31 at 7 and 8:30 p.m.
"Austin City Limits Hall of Fame New Year's Eve," Dec. 31 at 10 and 11 p.m.
"Christmas with the Duttons," Dec. 25 at 9 a.m. 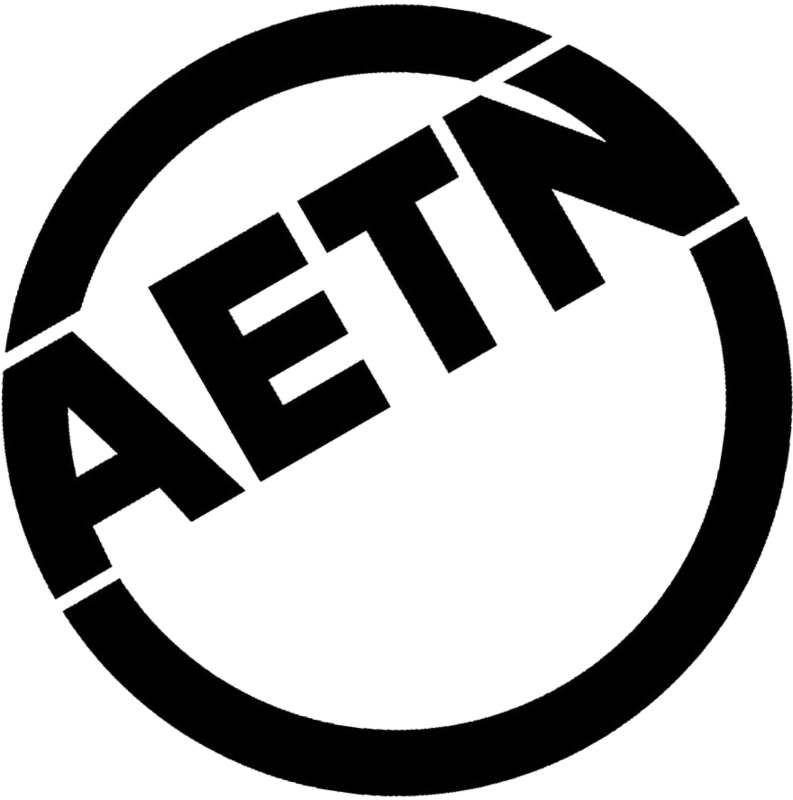 Celebrate Arkansas's 50th year of local public television programming, and rediscover AETN original productions that will ignite the holiday spirit every Thursday in December at 6:30 p.m. This month's Video Vault classics include "Ozark Mountain Christmas" (1991), "Christmas at the Mansion" (1999) and "A Holiday Musical Gala" (2011).